Freshwater forms that have been introduced into the Great Lakes and migrate into tributaries to spawn are also called steelhead. 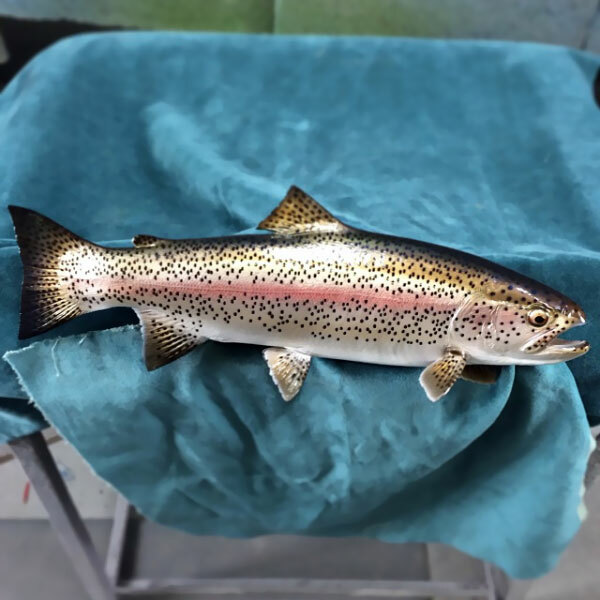 Adult freshwater stream rainbow trout average between 1 and 5 lb (0.5 and 2.3 kg), while lake-dwelling and anadromous forms may reach 20 lb (9.1 kg). Coloration varies widely based on subspecies, forms, and habitat. Adult fish are distinguished by a broad reddish stripe along the lateral line, from gills to the tail, which is most vivid in breeding males. Wild-caught and hatchery-reared forms of this species have been transplanted and introduced for food or sport in at least 45 countries and every continent except Antarctica. Introductions to locations outside their native range in the United States (U.S.), Southern Europe, Australia and South America have damaged native fish species. Introduced populations may impact native species by preying on them, out-competing them, transmitting contagious diseases (such as whirling disease), or hybridizing with closely related species and subspecies, thus reducing genetic purity. 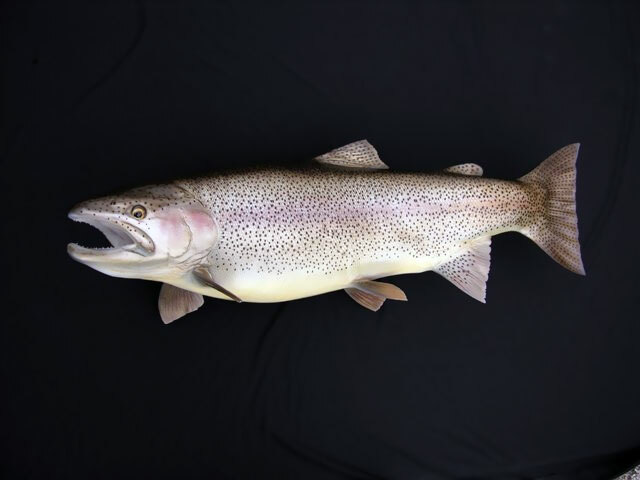 Other introductions into waters previously devoid of any fish species or with severely depleted stocks of native fish have created world-class sport fisheries such as the Great Lakes and Wyoming’s Firehole River. 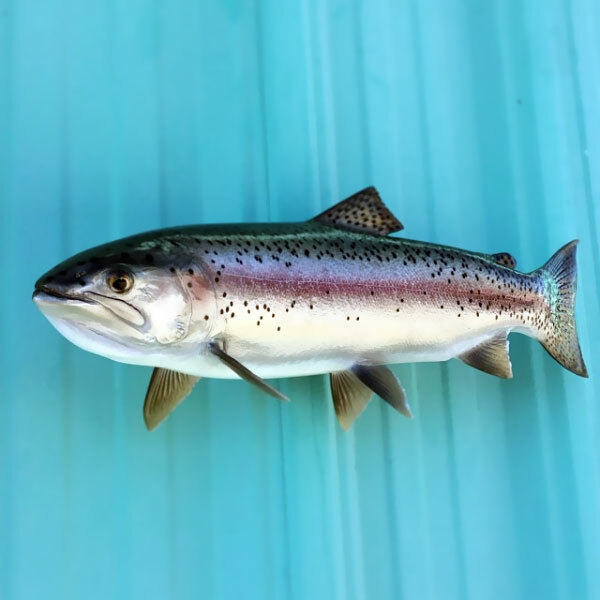 Some local populations of specific subspecies, or in the case of steelhead, distinct population segments, are listed as either threatened or endangered under the Endangered Species Act. The steelhead is the official state fish of Washington.